1. How do I keep my external doors secure? 2. What are the standard measurements for a door in the UK? 3. Can you paint external doors? 4. What is a composite door made from? 7. What are the different types of patio doors? 10. What bifold door configurations can I choose from? The key security feature of a modern external door is the locking mechanism. If you install doors with the latest locking systems at the front and back of your property you will significantly improve the security of your home. All of KLG Rutland’s doors are manufactured with a Winkhaus multi-point locking system as standard. This is a state of the art security measure that’s perfect for British homes. You can also add a security chain for extra peace of mind. There is no fixed standard for external doors in the UK and the measurements for front doors and back doors can differ significantly even in the same house. For a front door, the size you choose may be dictated by an existing frame unless your having more extensive work done. Back doors tend to offer more flexibility. As a reference, the lower end of the scale for external doors tends to be 1981 mm x 686 mm (6ft 6” x 2ft 3”), while the upper end of the scale is 2134 mm x 915 mm (7ft x 3ft). If it’s made from uPVC, don’t paint it. If it’s a composite door, don’t paint it. If it’s made from wood, you can paint it with appropriate preparation. Many contemporary doors are made from uPVC or composite materials (with a surface of glass-reinforced plastic) and cannot be painted. The surfaces don’t hold paint well so the look will deteriorate quickly. It’s generally better in the long term to choose a new door that has a colour you like more than your current one. KLG Rutland’s composite doors have a number of layers that work together to make them incredibly strong and excellent insulators. The outer layer is made from a moulded glass reinforced polymer (GRP) which has a wood-effect finish. Inside, the door is filled with polyurethane foam for extra insulation. There is also a layer of ABS reinforcing running through the door for extra strength. You’ll find a simple distinction at KLG Rutland: our front doors are composite doors while our patio doors are made from uPVC. Composite doors have a more traditional look that’s perfect for making the front of the house look stunning. They are also much stronger than uPVC doors, making them more secure as both front doors and regular back doors. Where the majority of the door is glass, as with most patio doors, we use a uPVC frame as it is easy to maintain and insulate. Composite doors are a more modern innovation than traditional wooden doors, but the best composite doors will look just as good as their older counterparts. Composite doors are stronger than wooden doors and much better insulators. They are also easier to maintain, though much harder to repaint. Many homeowners who want a brand new front door – with all the benefits that entails – choose composite doors. Sliding patio doors: these units normally consist of one or two doors that slide away from each other to open up the house to the garden without needing the space to be opened outwards. French doors: ordinarily, this consists of a set of two doors, each of which features an unbroken pane of glass and opens outwards into the garden. 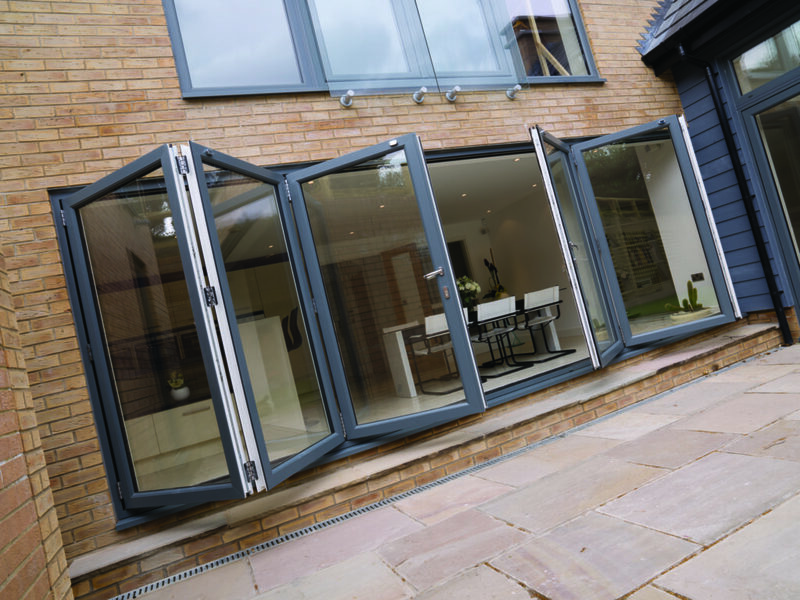 Bi-fold doors: these doors fold in a concertina fashion to open up a large entrance between the house and the garden. It’s impossible to say whether french doors or patio doors are objectively the best, but they have different characteristics that will appeal to different people. French doors don’t have to take up as much wall space but they need enough clearance to swing open outwards or inwards. By contrast, sliding doors don’t use any space to open, but do tend to be much wider units and only one can be opened in a two pane door. Depending on your requirements, you may find that one suits you much better than the other. 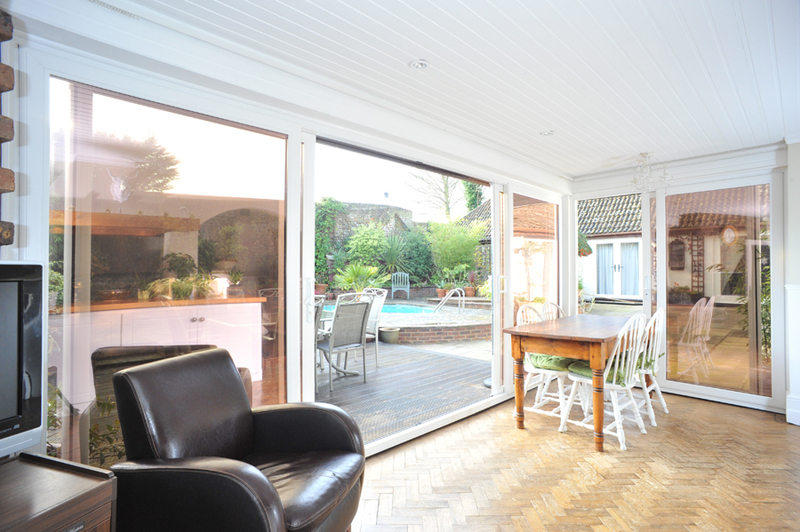 Another important consideration is whether bifold doors or sliding patio doors are better for your home. Both of these are wider units that let in a lot of light. If you have a large wall that you want to open out or you need greater flexibility, a bifold door may be better. However, sliding doors are elegant in their simplicity and can give you more window space overall. Your preference should be determined by the unique requirements of your home. KLG Rutland has enormous flexibility when it comes to bifold door configurations. The ‘bifold’ name comes from three-panel doors (with a fold either side of the central panel) but you don’t have to stick to this configuration if you don’t have the space. 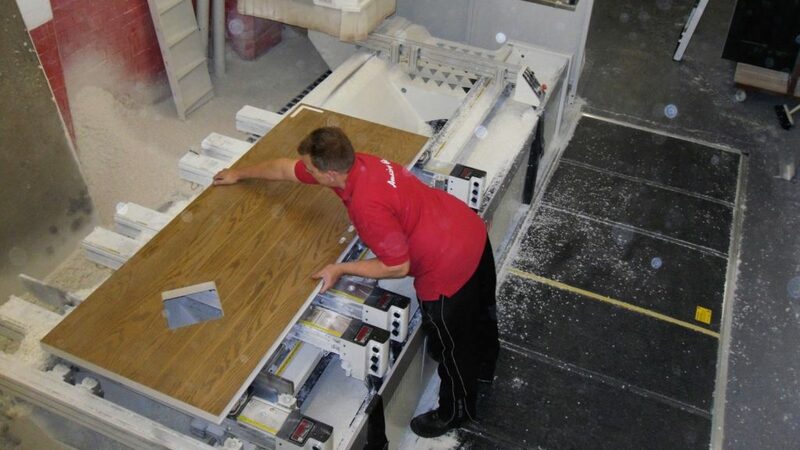 We can install single units with anything from two to seven panels and can also install two units within the same frame, which would give you a central opening. The choice is yours. If you have any other questions about external doors that haven’t been answered here, or you want more information about an installation for your own home, get in touch with KLG Rutland today. © 2019 KLG Rutland Limited. All rights reserved.